Now, we come to the last in our Four Ingredients series – theme. In the shaping of a story, theme is more of a background ingredient. You don’t need a strong theme to create a successful story. Yet it is often the theme that inspires the writer to write the story in the first place – and the reader to pick it up. All great stories cover universal themes, themes that speak to all of us. There isn’t a single story in humankind that doesn’t deal with love or death, or both. Within those two broad categories, popular themes include marriage, the effects of ageing and the quest for happiness. When a story is really powerful, it holds a mirror up to the human condition and we see ourselves reflected in it. As a writer, it’s hard to feel that it hasn’t all been said before. Well, it has. But that doesn’t mean you can’t find new ways to say it. You can bring your own unique voice to add a fresh slant to the theme. Since everyone is unique, nobody is ever going to tackle a theme in quite the same way. So there is still room for you to add your imprint. What you’ve got to be careful of is that the theme doesn’t drown out your characters or story. It’s through your characters and plot that your theme comes alive and resonates with readers. If the theme dominates, the book becomes too heavy and readers will end up feeling that they’re being preached to. An example of that is Prodigal Summer by Barbara Kingsolver, where the characters stood for different attitudes to the land and being at one with nature and the underlying expectation was that the reader would agree that there was no alternative to being at one with the land. The reason why To Kill a Mockingbird has endured is because its theme of injustice, particularly racial injustice, is still something we experience today. Lionel Shriver won the Orange Prize for her courage in in tackling the theme of what happens when a mother doesn’t bond with her child in We Need to Talk About Kevin. When theme-based novels work, they stand tall. What themes draw you as a reader, or as a writer? What theme-based novels have worked for you? This week, we come to the third and most exciting ingredient in the Four Ingredients series – plot. 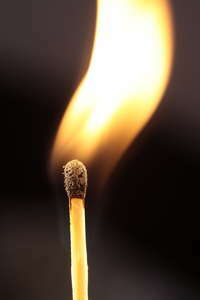 If character and setting are the fuel of your story, plot is the match that sets it alight. It’s what keeps the reader hanging on, to see what happens next. Use all the fancy tricks you like, but there’s nothing to beat a well-spun yarn. With all the techniques we’re told about in writing classes, or during interviews with great authors, what’s often forgotten is that writers are storytellers. And being able to tell a story well is an underrated skill. The plot is the action of a story. It drives a story forward. When a story is well plotted, it’s hard to put down. We’ve all had that wonderful sensation of being swept away by a story, of staying up far later than we should to read just one more chapter. They’re the sort of stories that critics describe as ‘unputdownable,’ an ugly but accurate word. Plot-based novels draw on a number of techniques to keep their readers hooked. Conflict: Without conflict, there is no story. Conflict makes a story sizzle. It’s the clash between characters, between ideas. It can be purely verbal or explode into violence. If you’re a more character-driven storyteller, you can use conflict between the two to create tension and build a story. Dialogue: Dialogue gives writers a shortcut. It lets you pass on a lot of information about your characters and setting to your readers, without having to go into long, chunky descriptions. And it keeps the momentum of a story going. Action and atmosphere: If you veer more towards plot in your storytelling, you need to be careful that your story doesn’t end up being a string of events, with nothing to fill in the gaps or add flesh. Team your action with an evocative atmosphere, using the senses and you’ll have an unbeatable combination. Use this 5 Ws formula to establish your plot. It might even be a good diea to write it out as if it were a news article in the paper. The thriller is the perfect example of a plot-driven story. They’re full of twists and turns and keep you guessing. What story has kept you up all night and why? Feel free to share. This week, we’re focusing our attention on the subtlest of the four ingredients of story – setting. Setting gives shape to a story. Without it, the characters would float in space and theplot would come across as a string of random events. Setting is the 3D of writing. It turns story into a world and if you pay attention to describing that world, you’ll hook your readers in. It’s easy to think of setting as pretty green fields. Certainly if you read a lot of the Irish masters, you would think that’s what it was. But setting refers to both the place and the time a story is set. You could decide to set your story in your own place and time. This gives you a chance to see the world around you with fresh eyes. You may have a fascination with a particular time in history or another country. That may inspire you to use those as the setting. If you describe your world vividly enough, you will give your reader a passport into it. So how do you create this vivid effect? Find the Extraordinary within the Ordinary. Describe a room in your house. You’ll be amazed what you suddenly notice. Do a holiday brochure for your chosen location. Or write about somewhere really ugly, to discover that inspiration can be found in the most unlikely places. Become a Time Traveller. Imagine you have travelled to the time your characters live in. What would you notice about it? How would you compare it to the time in which you live? Get Your Characters Involved. If your setting isn’t coming alive for you, write a description of the place the character lives in from the point of view of your character. What do they notice about it? How do they like being there? Get Drawing: If you’re lucky enough to be a visual person, draw a map of the place where you will set your story, or a timeline of important dates. That way, you’ll see it in your mind. Evoke the Senses. Think of the sights, sounds and smells that you would associate with your setting. For example, your story may be set in a school. Can you remember what your own school smelt like? How the rooms were laid out? What sounds you heard? By calling on the reader’s senses, you’ll be getting them to experience the world the way characters do. If setting is done right, it makes your story come alive. It can be the most difficult ingredient to get right, because of its subtlety, but you will reap the rewards if you persevere. For an object lesson in how to use setting to vivid effect, read The Kite Runner by Khaled Hosseini. It lifts the veil and brings you into the Afghanistan behind the headlines. I’m going to start by saying that the title of this blog is a bit misleading. I actually think there are five ingredients that make stories work. But the fifth ingredient is too mysterious to pin down. It’s the magic that comes when the four ingredients I’m going to outline come together in perfect harmony. It’s the crackle. What are these four ingredients, you ask yourself? In my humble opinion, they are character, setting, plot and theme. And for the next four blogs, I’m going to be turning my attention to each of these, how writers use them and the effect they have on the reader. For a lot of writers, (myself included) novels begin with character, with a person who they come to know as well as they know their friends and family. Writers need to have strong background knowledge of their characters if they are to make that character real, to themselves and to their readers. There are three major ways that writers relate to their characters. Guide: These writers feel that the character is telling them the story and allow themselves to be led along by them. Puppet: These writers take a partnership approach. They think about what their characters might do, but ultimately decide what happens to them – pull their strings, so to speech. Construct: These writers create their characters from the ground up, through character sketches, diagrams and life histories. Basic details: Name, age, where they live, appearance. Personal details: Family status, hobbies. Secret History: A secret from their past that no one else knows. It also helps if writers come up with small but significant details about their characters. They could do things the way they think their character might do them: hold a pen, drink their tea or speak. I like to call this Method Writing. These are the sorts of details that make a character come to life, in the minds of the writer and the reader. Interestingly, writers reveal very little of this knowledge to their readers. I call it the iceberg effect – 90% of what they know about their characters lies below the surface, just as 90% of an iceberg lies below the surface of the sea. If they were to reveal too much, too soon, the character would stop being interesting. So they hold those details in reserve and reveal them bit by bit as the story unfolds. This is the appeal of character-driven novels – you’re pulled along by the characters. You read on because you’re fascinated by the characters and you want to find out what happens to them in the end. Even if not much is happening, the interaction between the characters holds your interest. If a writer does their work well, you’ll experience the character’s world the way the character does. And you won’t want to leave them behind when you close the book.